We are so close to the premiere of season 4 of The Walking Dead on October 13 that I can almost taste it. First up, we know, yes we know, what caused the apocalypse. While the creator of the comic book series (with artists Tony Moore and Charlie Adlard) upon which the TV series is based, Robert Kirkman (who also acts as one of the executive producers on the show) has always played mum on the cause of the zombie apocalypse, preferring, understandably, to focus on its devastating aftermath, it now emerges that another major TV character was behind the whole thing. Yes my friends, according to the wonderful, inspired folk at College Humor, you can link the start of the virus-infested decline of civilisation to one Walter White of Breaking Bad whose purest of the pure crystal meth may not have been as squeaky clean as he thought. So sit back, be entertained and yes, informed. And if you’re wishing you could see some new amazing The Walking Dead webisodes in the lead up to the season 4 premiere, you are in luck! According to variety.com, a three-episode series directed by Greg Nicotero called The Oath will be available from 1 October. With each instalment running for 7-10 minutes, they’ll give another insight into the zombie-ravaged world that the scarred remnants of humanity now call home, and features Ashley Bell (Exorcism 2), Wyatt Russell and Ellen Greene. “The webisodes give us a unique opportunity to see other parts of the ravaged world of The Walking Dead while weaving in and out of our show. It appears that we will soon have more than one zombie show to keep us alternately hiding behind blankets in fear (you all do that right? Right?) and utterly absorbed in the knife edge drama with news that a spinoff from The Walking Dead is in the works. While there are scant details available at the moment, we do know the 2015-debuting series will take place in another part of the universe created by Robert Kirkman (who joins with executive producers Gail Ann Hurd and Dave Alpert) and feature brand new brand new characters. True it will be a long wait but I daresay very much worth it when it finally makes it to the screen. And that, apart from the news that Alanna Masterson has been cast as a recurring character in season 4, possibly playing Tara Chalmers who was introduced in the Rise of the Governor novels, is that. May you run fast and sure of foot from the zombies as you await their soon and very soon return. 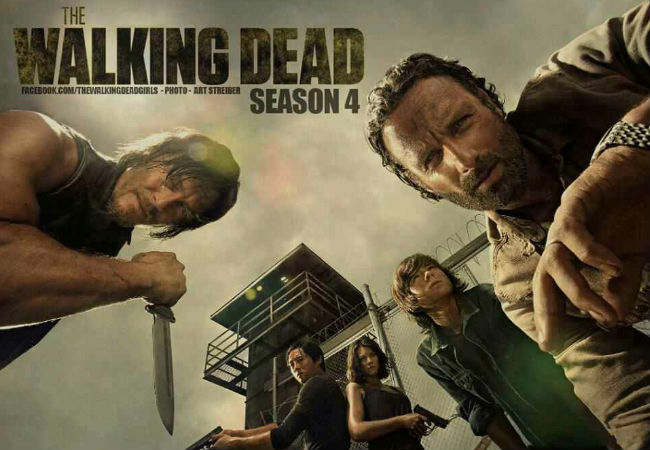 The Walking Dead season 4 premieres 13 October 2013 on AMC.